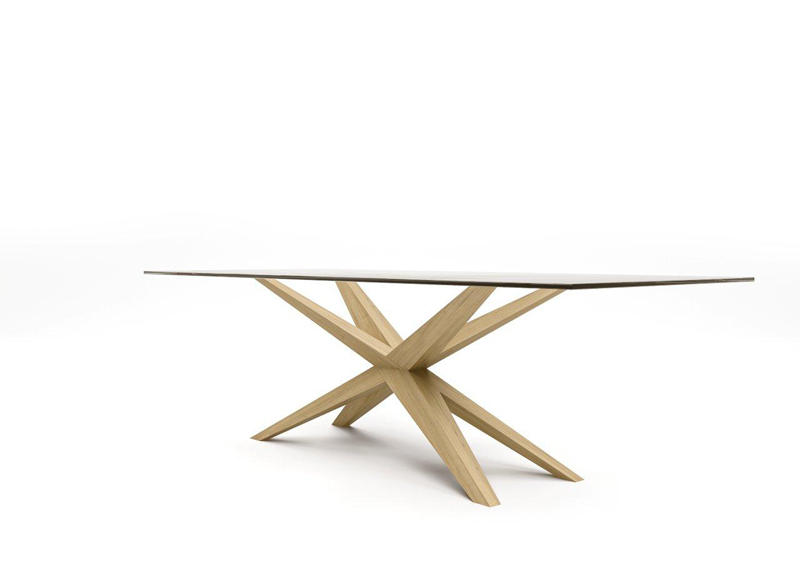 Dining table available in oak, walnut or cherry wood. Shown with glass top in rectangle shape.Wood top version available in a variety of other shapes with or without contrasting wood grain. Please contact usona for details. Wood top also available in custom sizes and shapes. Please contact Usona for a quote.